The HWBOT World Tour 2017 is shaping up nicely. After events in Las Vegas, Sao Paulo, Poitiers and Taipei, the next stop on the Tour is a trip to Cape Town, South Africa where we will be in attendance at EGE . The great news today is that tickets are now available for all South African overclockers who want to join in the fun. LN2 tickets entitle you to take part in the Overclockers Gathering and also give you a chance you compete in the Overclocking World Championship Qualifier contest. The Electronics & Gaming Expo event, known simply as EGE, runs from July 28th -30th at the Cape Town International Convention Center. It promises to be a great show, especially if you are a competitive overclocker who enjoys mingling with like minded folk. HWBOT will be hosting an Overclockers Gathering, providing a relaxed social environment where Overclockers will access to unlimited liquid nitrogen and have to chance to do some free style overclocking. Note: this is a BYOC event. 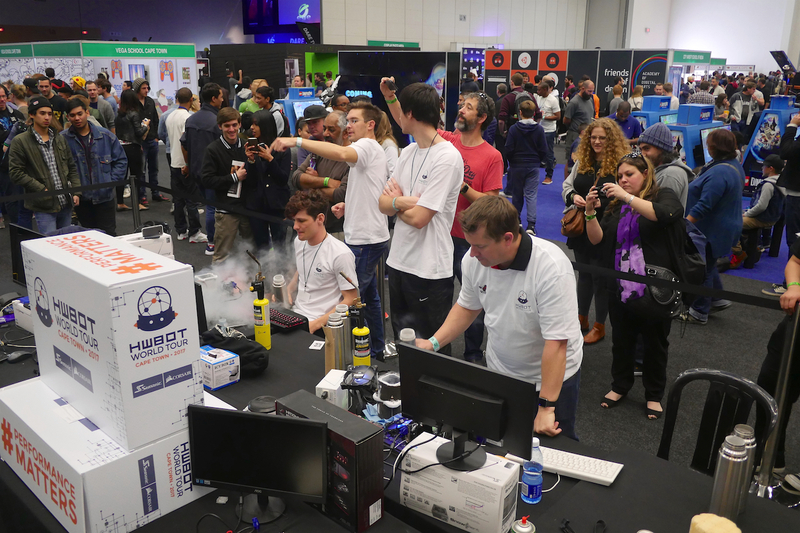 In terms of competitive overclocking you will be pleased to learn that purchasing a LN2 ticket also gives you the opportunity to compete in the Overclocking World Championship Cape Town Qualifier contest. After a qualification stage on July 29th when overclockers compete across three benchmarks, the top scoring four overclockers will then compete in 1v1 Semi-Final and Final matches. The winner will be invited to compete in the Final in Berlin at the end of the year. July 28th – 29th: All day Overclocking Workshops. Register on location, sessions start every 30 minutes. Note: This is a preliminary schedule and is subject to change.